I can't believe Lexie has been home three years and she just had her third dance recital. And I SWEAR I am not one of those moms from Toddlers & Tiaras (I only know the show from the previews which I find horrifying.) Lexie & I first took the Mommy & Me dance class when she was about 18 months because I thought we'd have some wonderful bonding moments - which we did. 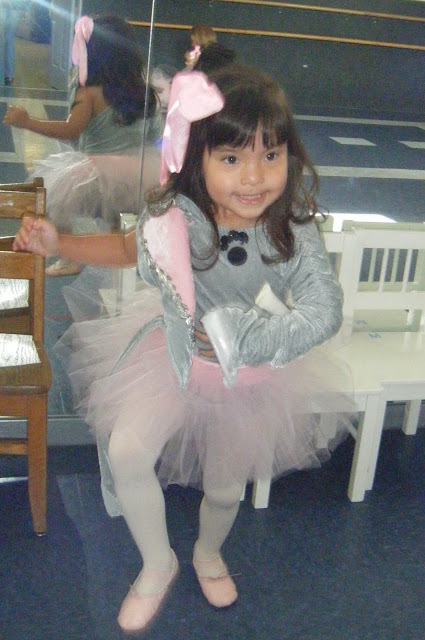 I also discovered my little princess LOVES to dance - big surprise. 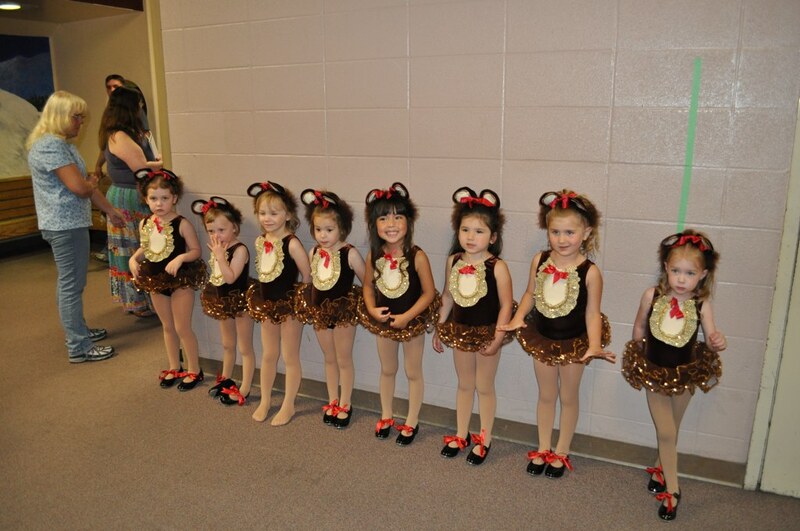 I was shocked to find out that they were actually going to be in the recital. And that she actually knew the steps - more or less. Of course she was adorable. Here she is at just 25 months waiting to go on. I'll have to admit I wasn't too keen on it myself but come on! This is actually one of my favorite pictures of her. It certainly tells the story. 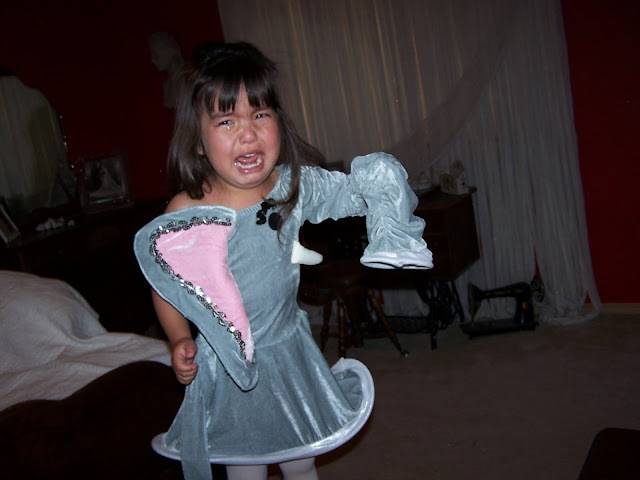 But by the time she needed to wear this on "the big stage" she was lovin' her little elephant costume. bear! Believe me when I say the other elephant moms & I have made it very clear to the teacher that we will not be back if they are animals again! We want princesses. In fact we want Disney Princess like the adorable Jasmines that went on just before us or the adorable Cinderellas at the end of the show! Here they are waiting for dress rehearsal (and we're actually missing two of the girls here!) This is her after her first show. She was so proud of herself! This is her during dress rehearsal when I was allowed to take photos. There was nothing shy or nervous about my little teddy bear. And here they are just before they went on the second night they preformed. Yes, they have such a crowd for these shows that they have it on Sat & Sun. Crazy! How sweet are they holding hands! And here she is with some of her best buds at the end of the "run." As you can see there was no forcing any of these girls to go on and have fun. You'll also notice no eyeliner, blush or lipstick either. All our moms just wanted the girls to have fun and be kids. I really enjoyed this years group of moms. We are trying to get in the same class next year. I know it's too far away but you get the general idea. She is in the very center 5 bear from the right. I'm so darn proud of her!